Vacuum carbon tube furnace is a graphite heating element for high temperature, high vacuum resistance furnace. The maximum working temperature up to 2000 ℃ ~ 2400 ℃. This series of products are widely used in inorganic materials (such as ceramic seals, silicon carbide, zirconia, zinc oxide, aluminum dioxide, etc. 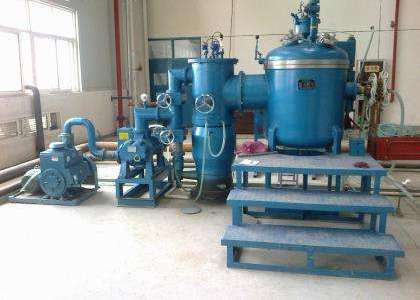 ), and metal materials (such as cemented carbide) in a vacuum or protective atmosphere sintering preparation can also be used Rare earth elements and oxides purification and sapphire annealing treatment. At the same time also applies to universities, research institutes for pilot production volume use. Graphite vacuum resistance furnace for the vertical vacuum furnace, the furnace cover, furnace, furnace bottom and vacuum unit, furnace shell is stainless steel, the outer layer is carbon steel, water cooling between the two layers. Furnace shell with a suction port, observation hole, thermocouple hole, the protection of the atmosphere import and export, explosion-proof mouth. Furnace equipped with graphite electrode, graphite heating element with its cylindrical surface contact with the electrode, each end of the electrode through the seal out of the furnace, it is to make the current through the furnace heating element is an important component. Around the heating element has a multi-layer radiation screen consisting of heat shield device. 1, user-friendly design, reasonable allocation. 2, compact structure, reasonable layout. 3, the furnace with inflatable overpressure explosion-proof system. 4, the circuit has a water, over-current, over-temperature furnace water over-temperature alarm and protection.